Some of you may be perturbed by the recent association of Mazzy Star with XBOX 360 games ('Into Dust'), but fear not; you can still take them seriously! 'Common Burn'/'Lay Myself Down' is the latest release from Hope Sandoval and David Roback, who have been laying low for 15 years. In anticipation of a series of live shows and a new album, due out in 2012, the Californian duo have released the single on their own label, Rhymes of an Hour Records. 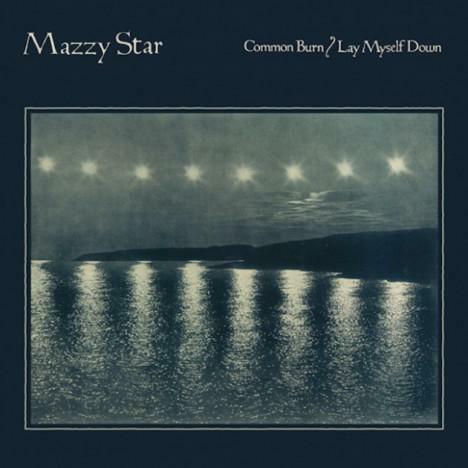 Recording wasn't restricted to 'Cali', though, as Mazzy Star also paid a visit to Norway and, a little closer to (our) home, London, to develop their brand-spanking new sounds. The tracklisting should be reversed, with 'Lay Myself Down' as the lead. The perky, country-tinged ditty is perfect for summer festivals, just after a nice lunch and a couple of pear ciders. Sway to your heart's content to tambourines, sliding guitars and, of course, Sandoval's gorgeous vocals. There's nothing wrong with 'Common Burn'; it's a very nice song, harmonica and all. But it lounges along in a dream-like state at the risk of becoming soporific. It just doesn't have the kind of impact one would expect from a comeback track after such a long time. Overall, they will restore faith in the band after their commercial shenanigans with 'Common Burn'/'Lay Myself Down'. I'm certainly looking forward to the album.